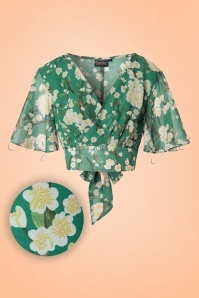 This 40s Leah Flowers Top brings back the elegance of the 40s! 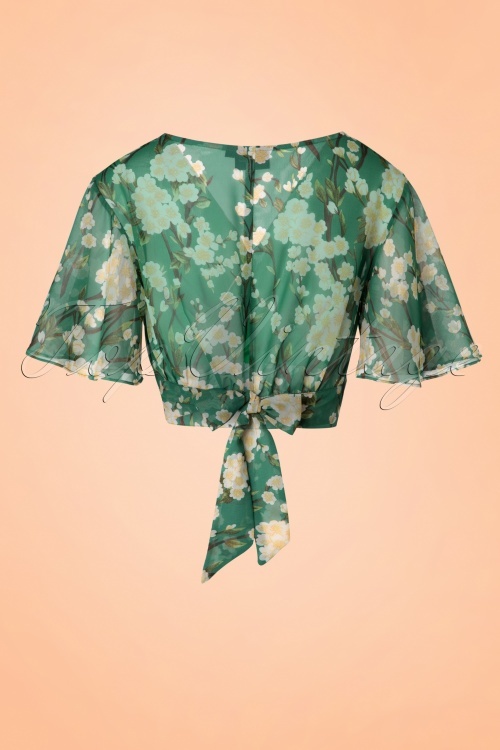 Have you ever seen a dreamy top like this one? So feminine, so beautiful. 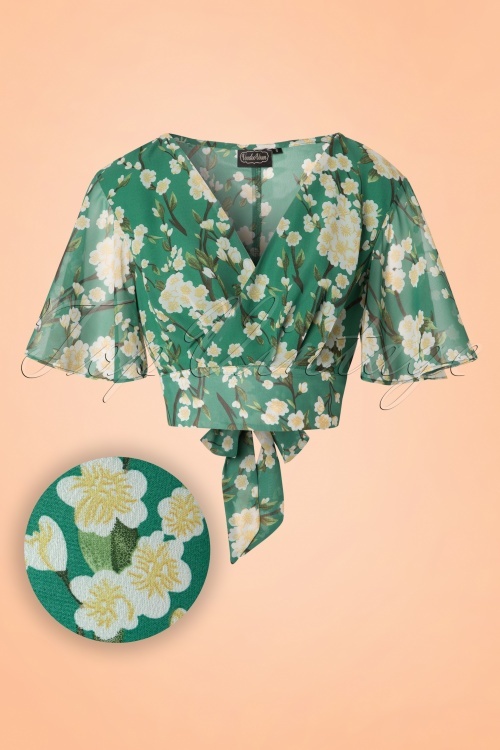 She features an elegant wrap over, playful tie straps and flowy bell sleeves which give her a classy kimono look, what else could a woman wish for?! 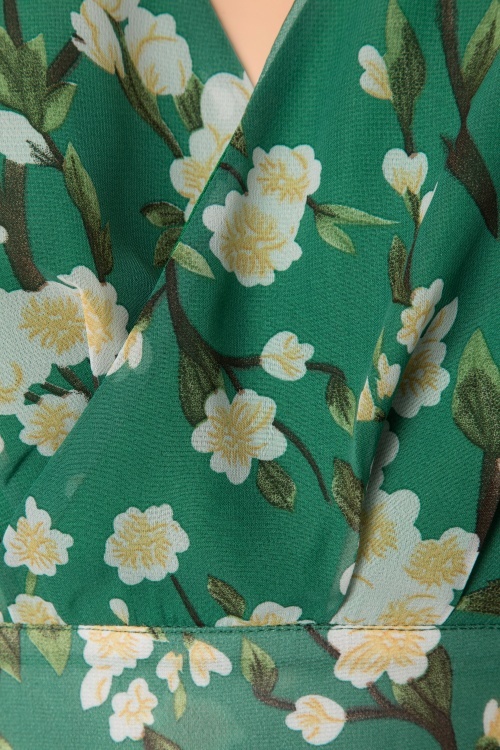 Made from a supple, semi-sheer, teal green fabric (doesn't stretch!) with lovely white flowers with yellow and green tones. It's the look that not only embraces summer, Leah owns it! Prachtig topje in een wondermooie stof. De kleur is exact zoals op de foto's. Ik vond het echt prachtig, maar jammer genoeg staat het mij gewoon niet. Ik wist echt niet hoe ik het moest combineren, dus met veel pijn in het hart teruggestuurd.